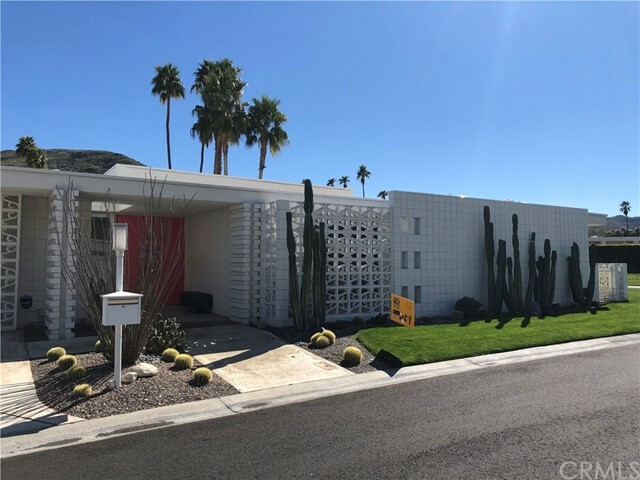 Fresh off it's 2019 Modernism Week debut this newly renovated Kings Point residence is now available for purchase. 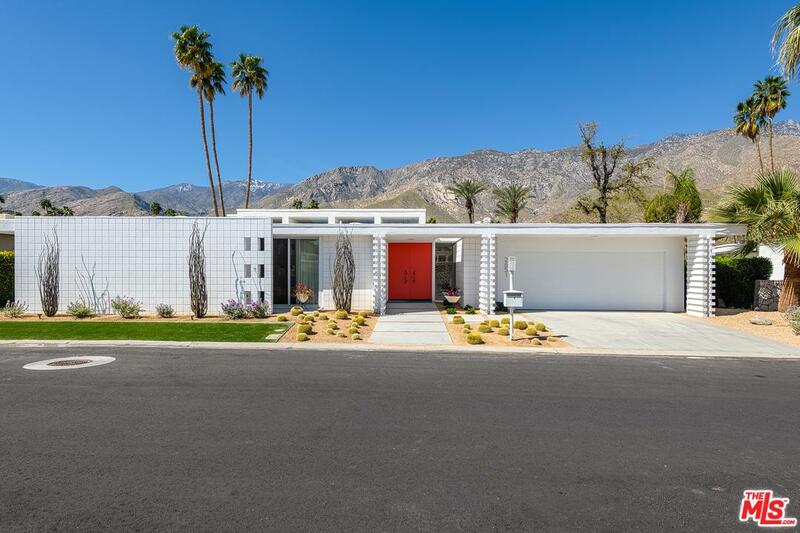 Originally designed by celebrated architect William Krisel in 1969 this architecturally significant home features three bedrooms, 3.5 bathrooms and a gourmet kitchen with Viking appliances, Cambria quartz countertops and custom cabinetry. At the center of the open concept plan is a dramatic great room with 12 ft. ceilings, marble fireplace and clerestory windows on all sides. Fronting on the legendary Canyon Country Club North Course the west facing rear yard offers both privacy and spectacular views of the San Jacinto Mountains. Nestled deep within South Palm Canyon the kings Point community offers a lush garden setting with community pools, tennis courts and access to two championship golf courses.